BLACKSBURG, VA. March 22, 2017 – Studying the human immune system is like trying to work a vast, multidimensional jigsaw puzzle with pieces that are constantly changing shape. Billions of microbes interact with the host, shaping the processes that keep us healthy and protect from disease. Sometimes, however, these interactions do not occur as one would hope, sending the immune system out of synch, causing chronic inflammation which can lead to diseases like Inflammatory Bowel Disease (IBD), diabetes, arthritis, or even cancer. Millions of Americans suffer from such diseases, and incidences are on the rise. It has been very difficult up until recently to understand what occurs during these interactions and how they might trigger chronic inflammation. More importantly, efforts to stop such inflammation have produced drugs and treatments that have modest efficacy and side effects nearly as difficult to deal with as the disease itself. Scientists need to understand how inflammation occurs at the systems level and what might best recalibrate an immune system that has been pushed wildly off-course into chronic inflammation. 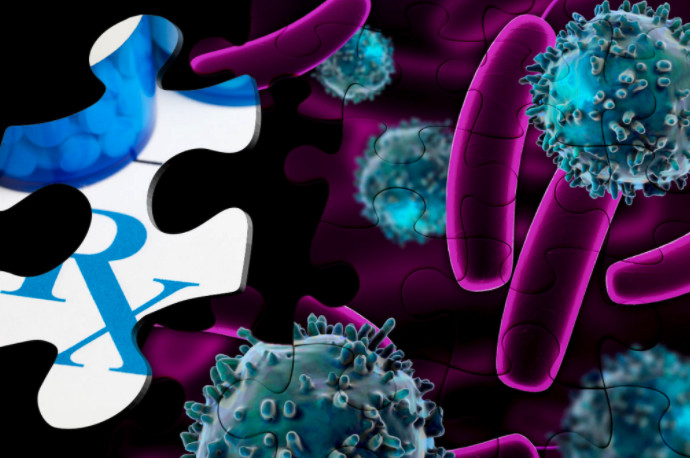 A recent paper in Trends in Immunology explores how the field of immunology can apply modeling approaches to solve the puzzle of immunity. The BioTherapeutics team has integrated this approach with other forms of modeling and experimentation, allowing them to simulate inflammatory processes at an unprecedented scale. By applying this approach, researchers were able to model clinical responses to new IBD treatments with a high degree of accuracy for simulated patients using advanced machine-learning algorithms. In a recent National Institute of Allergy and Infectious Disease workshop, Bassaganya-Riera presented about how solving immunity is a complex process requiring transdisciplinary solutions. The workshop led to a white paper that sets the vision for precision medicine in infectious and immune-mediated diseases. Bassaganya-Riera spoke about the advances precision medicine offers us during Virginia Tech’s most recent TEDx event. In his discussion, he explained how modeling and simulation of immunological systems helps capture human variation and diversity, and offers clinicians and patients a more rapid pipeline between clinical trials and personalized, individual treatments for human diseases. It also offers a chance for researchers to engage in “the art of the possible”: modeling that can demonstrate the promise of new therapies in human avatars even before they are tested in a living system. Building on these early successes, it is clear that collaboration between modelers and experimentalists will be key to ushering in an era of precision medicine.